The Ramayana is perhaps one of the most popular epics in Hinduism and tells the beautiful story of the life of Shri Ram during his time on earth. Witten by Valmiki, a Sanskrit poet, the Ramayana narrates the life of Shri Ram-the incarnation of Lord Vishnu. The main story in the Ramayana is the 14-year exile of Shri Ram from the Kosala Kingdom of ruled by his father Raja Dasharatha. Ram’s exile to the forest was upon the request of Dasharatha’s second wife Kaikeyi. The text documents the trials and victories of Shri Ram, his wife Sita and brother Lakshmana during their 14-year exile to the forest. Believed to be written during the first century BCE by Valmiki, the Ramayana is considered one of the largest ancient epics in the literary world. Like many other Hindu epics, the Ramayana is riddled with teachings of ancient Hindu sages. The Ramcharitmanas was written by Goswami Tulsidas in the 16 century with derivations from the Ramayana. From the Ramcharitmanas, one of the most popular chaupai (poetry) “Ram Siya Ram” was developed. The chaupai tells a beautiful story of how revered Shri Ram is. May that home of bliss and bane of woe take compassion on me; that Rama who plays in the courtyard of King Dashratha’s house, be pleased. After all, whatever Sri Rama has willed must come to pass. In Guyana, Hindus perhaps make up the second largest group of the religious population. From a very early age, Hindus are taught that Hinduism is a way of life as opposed to a religion. The pillars of Hinduism urges service to humanity without expectations of rewards. 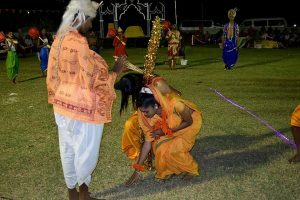 Hinduism was brought to Guyana in the 1800s when indentured immigrants arrived from India to work on the sugar plantations. Not being allowed to bring hordes of material things, the Indians brought their way of life, culture, traditions and beliefs to this land and made it their home. 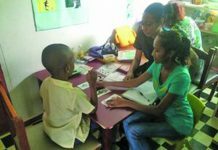 They, along with the other groups of people brought to work under the British rule, contributed to the very fabric that is now the backbone of the Guyanese society. During the indenture period, there were no forms of entertainment available to the immigrants resulting in the drawing from their motherland. They brought with them their forms of theatre and storytelling in the most elaborate way possible during that time. Ramlila, which basically translates to the story of Ram was one of the many ways our ancestors kept their traditions and religion alive. 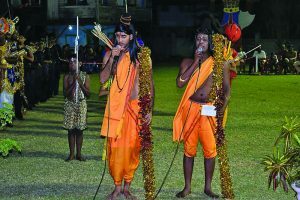 The dramatic folk re-enactment of the life of Shri Ram is based on either the Ramayana or the Ramcharitmanas and would be curtailed to suit the audience it is intended for. It was and still is a tradition that is practised in most of India and other parts of the world where Indians have settled. 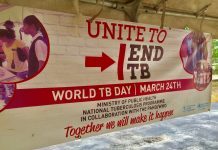 However, in Guyana, it is something that has been dying for years now and very little is being done to revive it. In 2008, UNESCO declared Ramlila festivities as one of the “Intangible Cultural Heritage of Humanity”. Ramlila follows the story of the life of Shri Ram from birth. 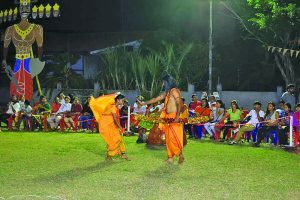 Because of the limited resources, available to during the time of indentureship and their love for community theatre, Ramlila usually in wide open spaces with uniquely crafted costumes. 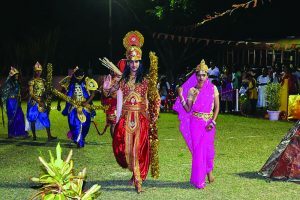 It is particularly popular during the September-October Navratri season and would run for the nine nights, every night portraying a different chapter or few in the life of Shri Ram. The culmination would be on Dusshera or Vijayadashami –often dubbed as the victory festival at the culmination of Navratri. Children from the community would get together with the elders who would train them to act and recite the lyrics that tell the story of the journey of Shri Ram from birth to his marriage to Sita Maa and culminate with his exile from and subsequent return to Ayodhya. The climax of Ramlila is the slaying of Ravana-the evil King who kidnapped Sita during exile. 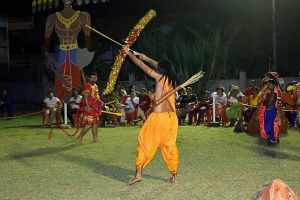 During the exuberant production a large statue of Ravana is erected and at the end of the production flaming arrows are shot into his navel setting him alight signalling the triumph of good over evil as well as the illumination of the darkness in our hearts. 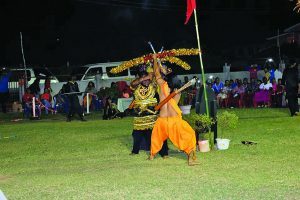 The first time I heard of Ramlila was in 2009 when the Guyana Hindu Dharmic Sabha put on the elaborate production at the National Cultural Centre with much pomp and grandeur. Ever since there have been small scaled productions which are one and few. 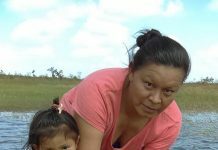 A few years after, I would be met with an onslaught different productions of Ramlila while I was living in Trinidad. 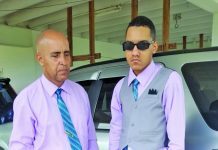 During my years there, it was something that I looked forward to as various Temples, groups and schools hosted their productions of the epic so richly etched in the fabric of their society. 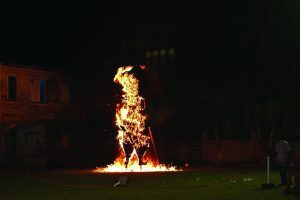 The first time I saw the production of Ramlila in an open-air setting without elaborate costumes and lighting was in 2014 when a Trinidadian friend and I were casually driving past one of the local Hindu Schools and saw the burning of Ravana. Curiosity got the best of me and we went to inspect. I remember feeling this sense of excitement as we neared the open field colourfully decorated with various flags. I saw several little Hanumans running around in their traditional dhotis and brightly painted face. I was transported to a different place as I had never seen such a spectacle in my homeland. A conversation later ensued between an elder and me where I was schooled on the production. The wrinkled old lady with a bright smile whom I referred to as Tanty willingly told me that her grandson was a part of the production. She was beaming as she identified a boy no older than 10 running around with his mace. She told me about how Ramlila has always been a part of her life as her parents, devout Hindus, always encouraged the family to view and take part in the production. 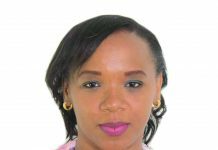 She expressed immense happiness that they are able to create a space where the traditions of her ancestors are honoured in a way where despite religion and ethnicity all are welcomed. 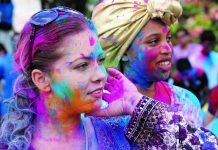 Like Trinidad, Guyana is a melting pot of cultures where celebrations are not just limited to the particular demographic it is intended for. “I had often thought of but never seen Ramleela, and had never seen this theatre, an open field, with village children as warriors, princes, and gods. I had no idea what the epic story was, who its hero was, what enemies he fought, yet I had recently adapted the Odyssey for a theatre in England, presuming that the audience knew t he trials of Odysseus, hero of another Asia Minor epic, while nobody in Trinidad knew any more than I did about Rama, Kali, Shiva, Vishnu, apart from the Indians, a phrase I use pervertedly because that is the kind of remark you can still hear in Trinidad: “apart from the Indians”.